Singapore – A maid was forced to do things against her will while employed to a Singaporean couple for 9 months in 2016. When Ms. Phyu Phyu Mar from Myanmar applied to work as a maid for Linda Seah Lei Sie, 39, and her husband Lim Toon Leng, 44, she didn’t expect to be treated inhumanely. The couple tormented Ms. Phyu Phyu Mar during her stay with them at their flat in Punggol Walk. 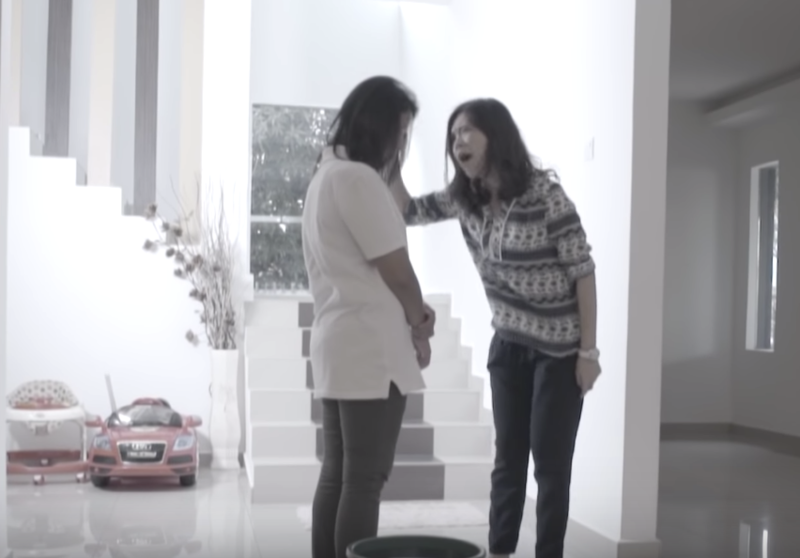 When Ms. Seah was unhappy with her maid’s performance, she would boil some water and made the maid pour the scalding water over the latter’s left shoulder. This happened twice between August and September of that year. The wife also threatened Ms. Phyu Phyu Mar that she would pour the hot water on herself and put the blame on the maid when the police came. Not wishing to be blackmailed and sent to jail, the maid complied. Making things worse, Ms. Seah forced her to poke the blisters with a needle instead of taking her to a doctor. Aside from those two instances, the maid was forced to drink dirty water with detergent, made to bang her head against the floor and repeatedly hit with a mobile phone while being grabbed by her hair. This torture came from Ms. Seah. Mr. Lim, who couldn’t find his glasses, punched the maid’s forehead twice assuming it was her who lost the item. Ms. Phyu Phyu Mar also did not receive her monthly salary of S$700 during her tenure and was only paid on November after the Ministry of Manpower interceded. She also lost over 12kgs from 50kgs during her employment due to lack of food. Hopefully, none of these actions were witnessed by the couple’s 5-year old daughter. Ms. Seah, who manages Anew Me Beauty Aesthetic Salon at The Centrepoint mall in Orchard Road, often brings her maid to the salon and it was during one of those days that one of the employees alerted the police. On October 15, the police visited the couple’s flat and took Ms. Phyu Phyu Mar to Khoo Teck Puat Hospital where she was taken care of for six days. Ms. Seah was convicted with five assault charges and one count for forcing the maid to drink the poisonous water. Her husband, who is an interior designer, was charged with one count for assault. Their sentence will be released on February 11. Meanwhile, Ms. Seah, being represented by lawyer R.S. Bajwa, and her husband, who has Kertar Singh for his lawyer, is out on bail of S$10,000 and S$5,000 respectively. Netizens are furious towards human beings mistreating others like them and are asking for heavy punishment to be brought to the couple. 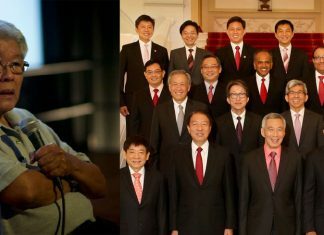 Alex Ong commented that the aesthetic salon must be boycotted.